Order books are now open for Renault’s 2018 Zoe electric supermini, which brings a more powerful motor without any impact on range. The 2018 Renault Zoe brings increased power with no loss of range. Priced from £18,420 OTR (including PiCG, excluding battery rental), the new Zoe features the new R110 108bhp electric motor instead of the previous 92bhp R90 motor introduced in 2015. The new powerplant is derived from the R90 electric motor and is said to provide improved performance, particularly at higher speeds, while still offering an official range of 186 miles under WLTP test data – said to be the best WLTP range of any mainstream electric vehicle. It also retains the 166lb.ft torque of the R90 motor. However, drivers can still specify the 88bhp Q90 motor that’s been available since launch and is the only motor to offer rapid charging capabilities. This can give an 80% charge in just over an hour when using a 43kW charge point and offers an estimated real-world range of 174 miles. The R90 and R110 do not offer rapid charging. Other changes see the introduction of Android Auto compatibility as well as a new ‘Aconite’ dark metallic purple paint and optional Purple Interior Pack. The new range also brings a pared-back trim line-up featuring two trim levels: Dynamique Nav and Signature Nav. Entry-level equipment includes hands-free keycard, automatic lights and wipers, rear parking sensors, cruise control, climate control, 7-inch R-Link infotainment system with voice-controlled TomTom sat nav, electric windows and LED Daytime Running Lights. The Signature Nav adds in leather upholstery, BOSE audio system, heated front seats, electrically folding door mirrors and a rear parking camera. 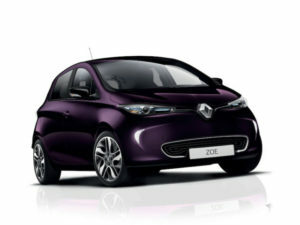 First deliveries of the new Zoe are expected late summer.